2-With three years of experience in his country of any nationality. 3-Passed prometric exam for Oman. 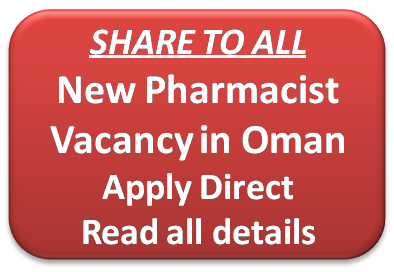 Pharmacy site away from the capital Muscat almost about 300 km.